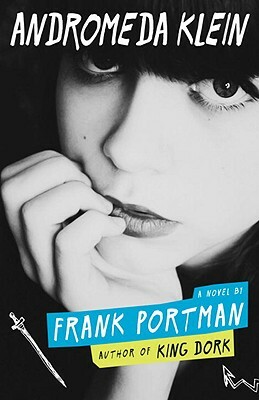 From Frank Portman, author of the cult classic King Dork that John Green says "will rock your world", comes a novel about Andromeda Klein, who has a few problems of her own. Frank Portman (aka Dr. Frank) is also the author of King Dork and the singer/songwriter/guitarist of the influential East Bay punk band the Mr. T. Experience (MTX). MTX has released about a dozen albums since forming in the mid-1980s. Frank lives in Oakland, California. You can visit him online at frankportman.com.